On the face of it, a Florida-based band made up of just a keyboard player (Chase Hudson) and a drummer (Sean Sullivan) suggests music of limited possibilities. 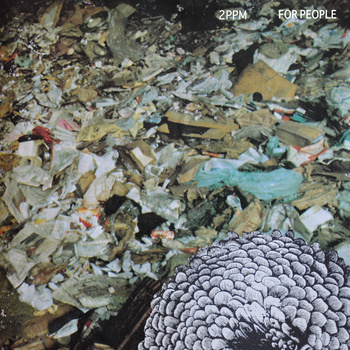 However, under the name of 2PPM (shorthand for Two People Playing Music), the duo claim to explore the boundaries between music both popular and unknown. The approach is certainly unfamiliar. Listening to ‘Movies Without Sound’, one can hear distorted whale noise and easy listening organ sounds set to jazzy rhythms. On ‘Recycling’ the music takes a more psychedelic route; swirling and veering between relaxed jazz and full on instrumental wig-out. The duo keep the invention flowing with stop-start rhythms and etherealism for ‘The Iron Dreyuss’, crispness and echo for ‘Troutman’ whilst 1960’s retro futurism seems to be the order of the day on last track ‘Beehive’. It’s hard to describe music which sounds quite like this but they could be the missing link between Polish post-rock act Skalpel and those 1960’s experimentalists and visionaries The Silver Apples. Either way, this is refreshing original and tuneful material. With so many submission requests to get through it’s hard to keep track of the popular music which receives plaudits. For much of it, I tend to wonder what all the fuss is about and the portents weren’t looking good when I heard about Bombay Bicycle Club. A group of sensible-looking London boys who decided to switch from grunge-lite to folk and then to arty indie pop/rock within the space of three albums surely speaks of a “this didn’t work but what about this?” type of identity crisis. However, after checking out a few songs by them from album number three, it was clear that they are on to something good and the whole of ‘A Different Kind Of Fix’ definitely reaffirms that hope. The quartet waste no time in producing something vital. Opener ‘How Can You Swallow So Much Sleep’ glides along a busy but tight mix of rhythms, grooves and Jack Steadman’s peculiarly haunting vibrato. The group then perform with equal distinction on the thrilling ‘Bad Timing’ which manages to combine the twin worlds of grunge and shoegaze and then goes hurtling off somewhere else. 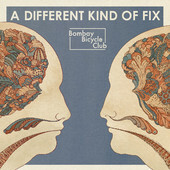 Bombay Bicycle Club used to be known for being part of the nu-folk movement, remember! After this rocket of a start, the quality rarely lets up even if the pace does. For ‘Lights Out, Word Gone’, the song is built around languid guitars and some beautifully male/female harmonies which build and build in to something quite magnificent. Other genius moments arrive via the unique, wonky keyboard riff for ‘Shuffle’, the celebratory ‘Leave It’, a hymnal ‘Fracture’ and ‘Favourite Day’ with its fragrant splashes of colour. Only the over-earnest closer ‘Still’ (although by no means a bad song) sounds a bit out of place. As much as groups should be encouraged to keep evolving, one hopes that Bombay Bicycle Club will finally settle after three wildly different albums. Having said that, ‘A Different Kind Of Fix’ boasts so many styles it’s hard to categorise them now apart from saying they are an extremely talented group of young musicians who defy comparisons. I can’t believe it’s been nearly a year since I last posted a video feature. It’s time to redress that failing. I was recently sent a new video link by Her Vanished Grace who have been releasing quality shoegaze-driven pop albums for almost two decades now. However, it takes some confidence to cover a Beatles track as they do here. Overall, I think they carry it off. ‘Across The Universe’ is one of my favourite Beatles songs as it sounded like a primitve form of dreampop twenty years before the term was first coined. However, HVG deliver what most good cover versions do: being respectful to the original but adding their own identity to it to make the exercise worthwhile. The beauty of music and free speech is that not everyone will agree of course! Germany’s Tarwater became a critical part of Berlin-based Kitty-Yo Records over a decade ago, reaching a peak with 2000’s ‘Animals Suns & Atoms’ and its hypnotic mix of rock-solid rhythms, metronomic beats and Bernd Jestram’s aloof vocals. It’s been a while since we last heard a proper album from them and since then Matthew Dear has taken up the mantle and delivered some high quality hook-heavy albums in between. So it appears Tarwater have come back to claim their Teutonic pop crown and – initially at least – it seems they have never been away. For fans of the band, ‘Photographed’ will be like hearing from a long-lost friend. There’s that familiar mix of aloof vocals, unusual beats and hooklines which could only come from a German act (or, in fairness, the aforementioned Dear). It’s catchy but in a cool way. However, it proves to be a false dawn. The title track is certainly intriguing: leisurely-paced and featuring brass interludes, it is closer in spirit to the warmth of fellow countrymen The Notwist. Thereafter, sadly, the highlights are few in number. ‘Radio War’ may be as teutonically precise as the band can be but the hookline, the crafty melody that keeps everything together isn’t as strong as previous albums. Jazzy instrumentals (‘In A Day’, ‘Furkan’) also don’t really convince, so it’s left to a homage to Kraftwerk (‘Get On’) to briefly stir the creative fires but even that proves to be a false dawn. The overall sound is unmistakably Tarwater but they do seem like a shadow of their former selves. Experimenting with your formula is admirable but the best advice for Tarwater is surely for them to get back to writing infectious songs again. Though they hail from the South of England, The Big Pink’s impressive first album from 2009, ‘A Brief History Of Love’, possessed a Northern swagger to counteract its electro/shoegaze backing. As a result, something refreshing and new arrived but, if anything, its follow-up seems to take a step backwards. The beginning to the new record is certainly attention-grabbing enough. ‘Stay Gold’ is cut from the same cloth as the previous album’s ‘Dominos’; infact its chorus is pretty similar whilst ‘Hit The Ground (Superman)’ is another song which strives (and largely succeeds) to sound both huge and uplifting. Yet further on, the deficiencies start to unravel. ‘Give It Up’ and ‘Lose Your Mind’ sound strangely dated and much of the album seems over-produced. Still, some fine songs emerge from the noise: ‘1313’ emerges triumphant from its beat-heavy backing and features an exciting instrumental coda whereas ‘Rubbernecking’ charms with its simple singalong melody. They also end the album well thanks to the title track’s euphoric rush of a chorus and the unusually introspective ’77’. This may be electronic music mixed with the confidence of a Manc rock act but sometimes that confidence is misplaced because ‘Future This’ seems to contradict the promise of its title. However, half of it is very good; it’s just not quite at the same high standard as its predecessor was. DIN Martin hail from Leipzig in Germany and are one a number of recent acts who choose to combine shoegaze effects with post-rock. The group have just come back from a European tour and have followed it up with a new album. ‘Elliston Road’ builds from its detuned guitars and rumbling rhythms in to a cunning hook which rivals Radiohead’s ‘Creep’ in its abrasiveness. The single ‘Before You Faint’ is friendlier and dreamier thanks to its chiming guitars and the vocalist’s melancholic yet uplifting performance, which is given further strength as a breathless female adds a new layer of despair to the song. The bleak mood flows through the rest of the album from the sombre Chameleons-inspired ‘As I Need You’ to ‘Coming Home’, the understated instrumental closer. 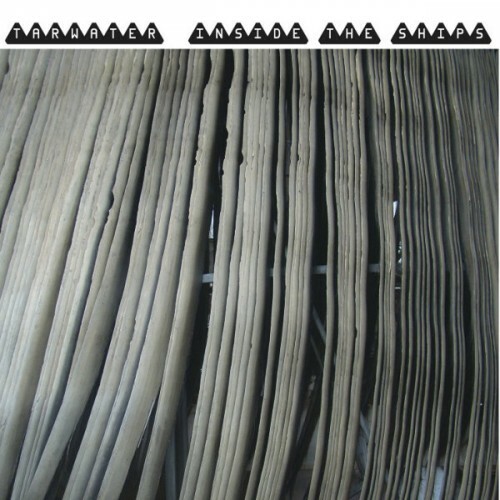 The arrangements are post-punk in a modern way but a few of these songs seem to lack the edge or the urgency to make the listener jump out of his/her seat. Some tracks (‘#6’ and ‘A Reflection’, for example) resort to post-rock blood and thunder clichés after promising starts. Top marks, though, for the consistently inventive drumming (particularly for mid-album standout ‘Temporary High’) which ensures pace and space is varied yet tight. 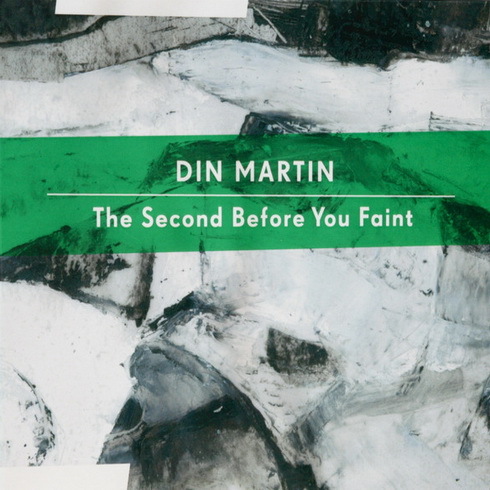 ‘The Second Before You Faint’ could be defined as a “front-loaded” album given that its most obvious highlights commence the record. 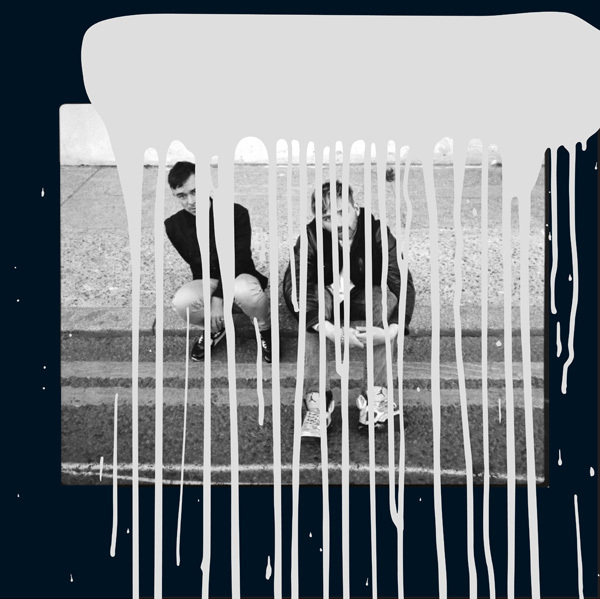 However, there is a lot of depth here and if they can curb their tastes for loud guitar outros and instead focus more on post-punk subtlety, glory can be theirs for the taking. 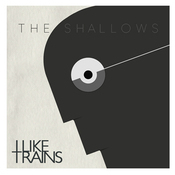 Over the last few years Leeds-based I LIKE TRAINS have built up a record label (named ‘I Like Records’, of course), whilst continuing to release high quality post-rock albums. After the glacial beauty of 2010’s aquatically-themed ‘He Who Saw The Deep’, the quintet have now re-emerged with an album based on man’s relationship with technology. If ever there was a sign of man being dominated by machine it’s in the primtive electronic pulse throbbing through ‘Beacons’ but even though a sense of coldness and austerity is more redolent this time around, I LIKE TRAINS always ensure there’s a human heart beating. It’s there in the swooning single ‘Mnemosyne’ or the defiant ‘In Tongues’. Most brilliant of all, however, is ‘Water/Sand’; a song which merges glimmering guitars, military drums and ghostly harmonies to almost hymnal effect. Even if the second half of the record doesn’t quite match the first (‘Reykjavik’ would have fitted in better thematically and sonically on the last album), I LIKE TRAINS remain a classy proposition. In some ways, not much has changed in I LIKE TRAINS’ world: the mood is one of controlled despair, there is still a concept of water, the songs are slow-paced and David Martin still half-sings/half-narrates like some prophet of doom. More importantly, they have their own sound and if you must consolidate, an album as good as ‘The Shallows’ is the way to do it.